Join your community in giving blood this April! 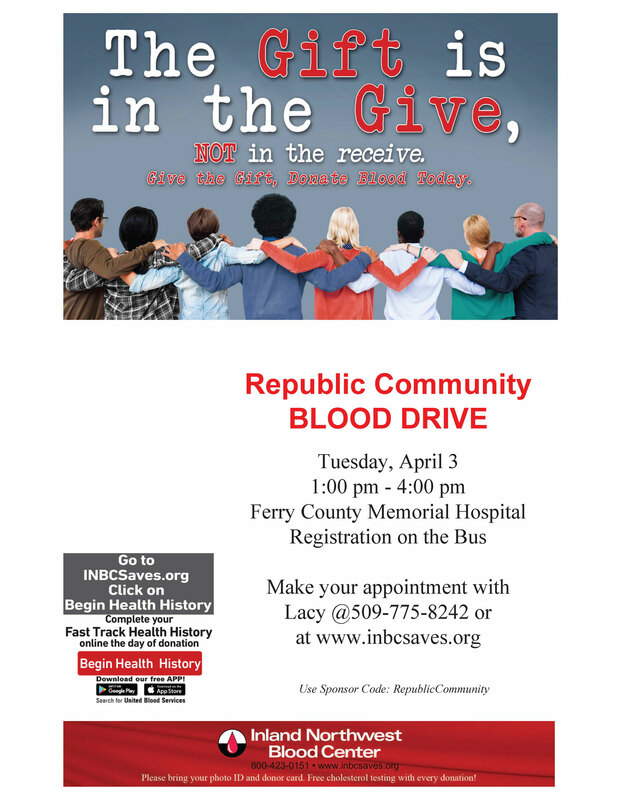 What: Inland Northwest Blood Center along with the Republic Community Blood Drive Volunteers led by Lacy Sharbono who will be coordinating the blood drive. Donation hours are from 1:00 p.m. – 4:00 p.m.
INBC needs an average of 200 blood donors every day to meet the needs of more than 35 hospitals in the Inland Northwest. A single donation can save the lives of up to three people!